Choosing a career path is a very serious decision that will have a profound impact on the course of your life, so it makes sense that you'd want to do something you'll enjoy. Many times people sacrifice their own enjoyment for careers they aren't really passionate about just to have a higher salary. Of course, with money being the motivator it's certainly understandable that most students are looking for careers that pay well. However, there are so many other factors to take into consideration as well, such as job availability, starting pay, benefits, ease of the job, and more. With that said, here are a few reasons why nursing is a good choice for many students. One of the best parts about becoming a nurse is that your career doesn't have to stop there. Once you've obtained a basic online nursing degree you can then later return to your education in your spare time to graduate from an RN to MSN online program. 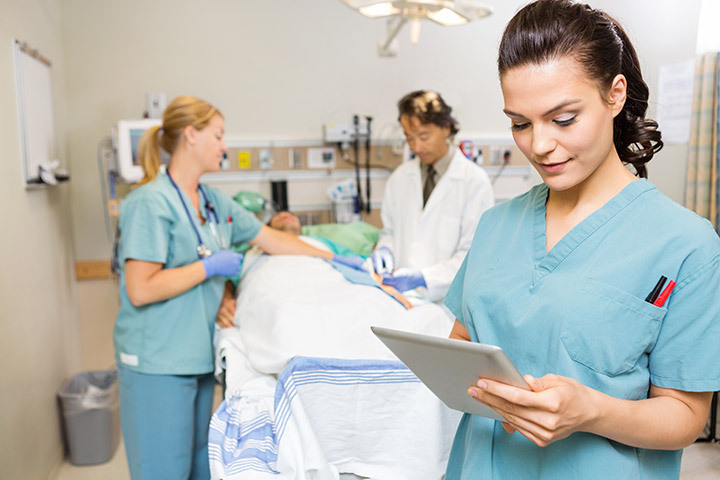 You could even use a distance learning institution like Norwich University to earn your master of science in nursing, which would make you eligible for higher paying nursing jobs. It only takes two years to become a registered nurse and from there you can continue advancing your career online. Nurses also enjoy a very low rate of unemployment at only about 2%, which essentially means they have a 98% chance of being employed at all times. This is especially true for someone who has earned an MSN online because experienced nurses are almost guaranteed a job. In fact, over the next five years, there's going to be a significant shortage of nurses in many developed nations, which means that qualified individuals will be in high demand. Hospitals and clinics are everywhere, so you'll never have trouble finding prospective employers. This is not only good for job security it's also nice to know that you have the freedom to move just about anywhere without having to worry about whether you're going to be able to find employment. You even have the option of taking your skills overseas to another country and experiencing a new culture. The option to move where you want is definitely an added benefit, but many nurses use it as a way to ensure that they'll be able to find a job in a specific place, like their hometown or a place they've always wanted to move to. In closing, the most obvious reason why so many people find the nursing profession to be desirable is the pay and the benefits that come with it. Even the starting pay for a registered nurse is about $20/hour, and with overtime pay, it goes much higher. Plus, you could eventually continue your education in the medical field and climb up the ranks of becoming a doctor or surgeon, in which case you could be making more than 2-3 times as much as a registered nurse.